Don’t blame Derek Fisher. It wasn’t Derek’s fault that he got nothing but air on his desperation 3-pointer at the end of Game 2. Nene, a very tall Nugget defender, was flying in his face, forcing him at the last second to loft the shot on a very high arc, which caused it to fall short. The miss left the Lakers with a 106-103 loss, and left them even with Denver 1-1 in their Best-of-7 series. That means that the Lakers will have to win at least one game IN the thin air of the Mile High City, where opposing teams can barely catch their breath, let alone beat the Nuggets. The Lakers started well last night, behind Kobe (18 in the 1st half) and Trevor Ariza (20 points for the game, 6/7 FG). The Lakers built a 14-point lead, but gave it back right before Halftime. The game was tight throughout the second half, with the Nuggets eking out a 7-point lead late in the 4th, but the Lakers responded behind Kobe and Ariza to tie it back up. Kobe had two huge outside jumpers with men in his face, and Trevor had TWO huge steals that kept the Lakers in the game. But the Nuggets made 17 Free Throws in a row, and Carmelo Anthony (or “Cameltoe Anthony” as my au pair girl called him accidentally) got hot (hotter), enabling the Nuggets to grasp the lead again. With the Nuggets up by 2 and just seconds left, Ariza had the ball but was shoved to the floor by a Nugget. No call was made, and Denver got the ball. Chauncey Billups made only 1 of 2 Free Throws (shockingly), leaving the Lakers 4 seconds to tie the game with a three. Anthony locked up Kobe, so it was up to Fisher — the logical second choice in a clutch, pressure situation — but he did NOT get a good look, and could not save the day. If only Farmar were in there. Just kidding. Only Kobe could have made a shot like that. Too bad he didn’t get the chance. But life is about second chances, and Kobe will probably have another chance to hit a buzzer-beater in Denver, as these teams look to be very evenly matched. And last night, Ariza was the second best player… on the second best team. Ariza had a monster dunk last night, posterizing some poor Nugget with a vicious attack of the hoop from kind of far away from the hoop. Despite the loss, and the final-minute turnover, Ariza is making a name for himself with NBA fans Nationwide. And during last night’s broadcast, the whole Country was reminded that Ariza hails from UCLA, because the introductions were televised live. One-and-done or not, it’s always nice to hear “UCLA” in an NBA telecast, especially in the NBA’s version of the Final Four, so take this as a hint, and stop bad-mouthing Jrue Holiday for leaving. There has been a lot of smack on the Internet, saying that Ariza and Holiday “aren’t Bruins.” NOT TRUE. Certainly not nowadays. Just like Kevin Love, these guys are Bruins, and it won’t be long until the fact that Jrue is from UCLA will be influencing another top recruit to consider becoming a Bruin too. 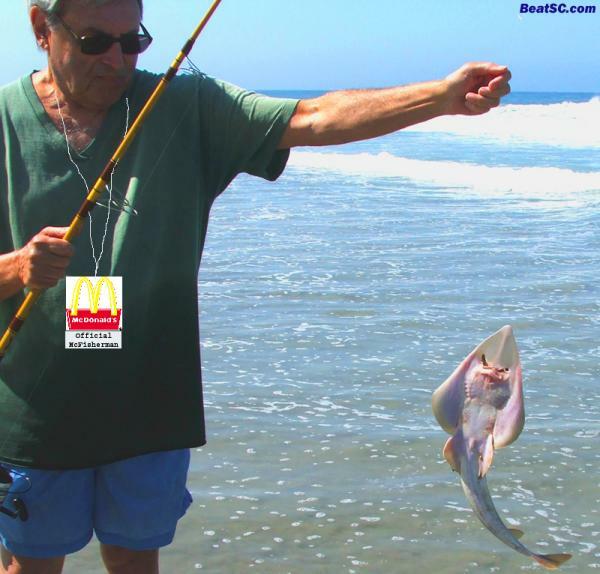 "FILET-O-FISH" was published on May 21st, 2009 and is listed in Blue & Gold News, Non-Rivalry News, Non-Rivalry Photos.